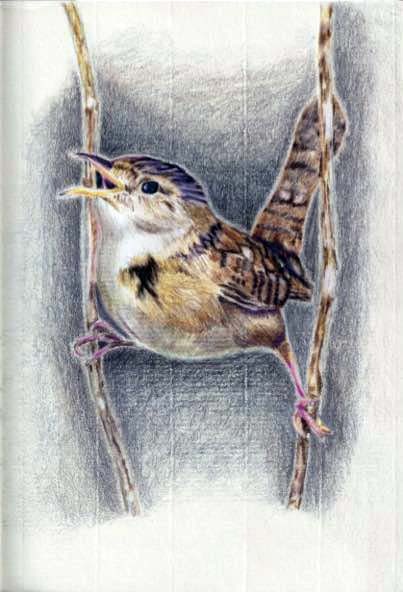 I think this is a wren--I found the picture in O magazine. I prefer to draw plant life, mainly because it's more forgiving, but while I'm in colored-pencil drawing class, with Christina Baltaylon, I thought I'd better take advantage and draw a variety of subjects. I need to draw another bird, so I can correct the things I don't like about this drawing! We just started our second ten-week session at the Creative Arts Group, in Sierra Madre. We're drawing a succulent plant, beginning with realistic style, then moving to more abstract. I'm sure this image will turn up in one of my collages. From a workshop with Rebecca Wild: ayered mixed media--each layer separated and protected with acrylic matte medium. 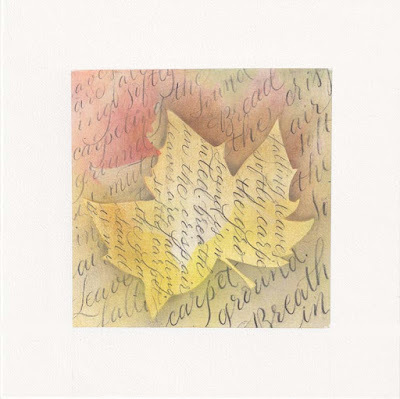 Pencil copperplate and pastel accents while leaf-shape was masked. Re-positioned mask and added more pastels. Removed mask and added lettering within that shape. I'd like to do more of this, with some overlapping gouache writing over the outer lettering. 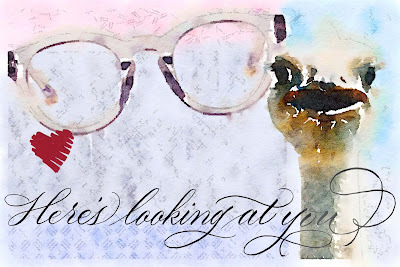 Collage #12: Here's looking at you. It's good to post these--I notice the imperfections--great learning exercise. 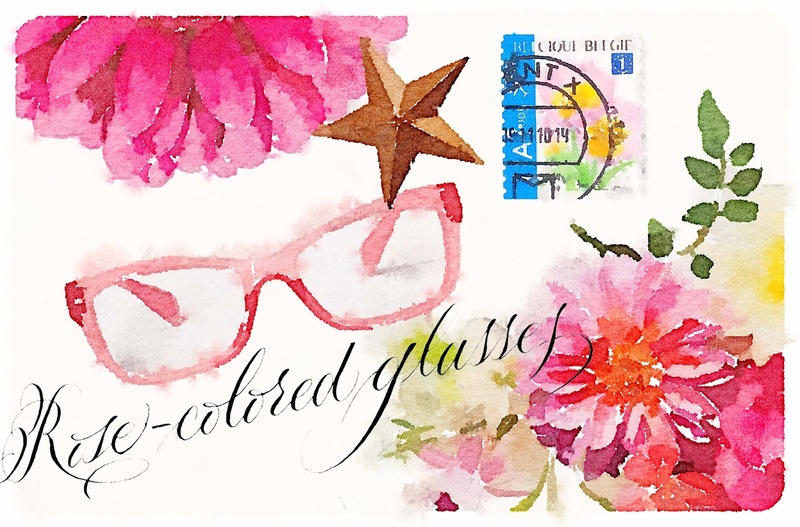 The background is made from envelope security liners and obscured with gesso. The images are digitally enhanced. Lettering is scanned and overlaid in Photoshop. This ostrich reminds me of one in Holland, during the time I was working over there. I was checking out a "children's farm" behind the hotel where several of us were staying. I wanted to see some unusual-to-me sheep, but the ostrich kept shifting to be in front of me, so I'd have to look at him, rather than the other animals. I had forgotten about that until now. Clipped images, plus a stamp saved from correspondence from my favorite Flemish (Belgium) calligrapher--digitally manipulated. Lettering layered over the top.